The Olympia Automall is your premier dealer of new and used cars for sale near Aberdeen. Whether you're looking for a new, used, or Certified Pre-Owned vehicle, the Olympia Automall offers you the widest selection, low prices, and the best deals on new and used cars or trucks you'll find around Aberdeen. No matter where you're located in the Aberdeen area, you can count on the Olympia Automall to be there to bring you the latest models and technology available. Come by for a test drive. We have hundreds of models in stock to choose from to help you find the right car or truck. Our professional sales staff is committed to providing you with a no-hassle car buying experience, and our financial experts will help customize an affordable lease or low interest loan to your situation. You can rest assured that each and every one of the employees at the Olympia Automall operates with a level of commitment to customer service excellence that you'd expect from reputable car dealers. We also do auto repair. 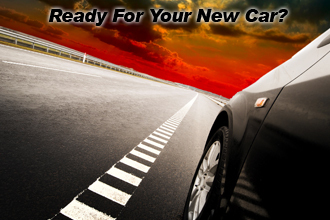 We know you may have many choices when it comes to car repair in Aberdeen. But chances are they don't have the award winning expertise, quality tools, and technology to accurately diagnose and fix the problem for good you would expect from the Olympia Automall. When you think about it, there's no better place for anyone in the Aberdeen area for auto sales or repair. Come by and see us. 2125 Carriage Drive SW, Olympia, WA, 98502, USA. Exit 104 off I-5 to Highway 101, and then take the Cooper Point Road-Auto Mall Drive Exit. Check out our showrooms to see the brand new 2018 models!